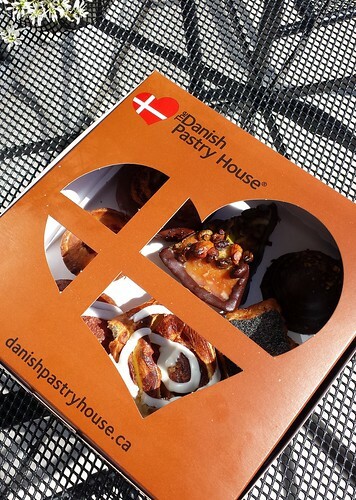 The Danish Pastry House opened this new retail location only in February 2014. The brand new plaza is not far from main highway exit and is in fact on my way home from weekly training trips. 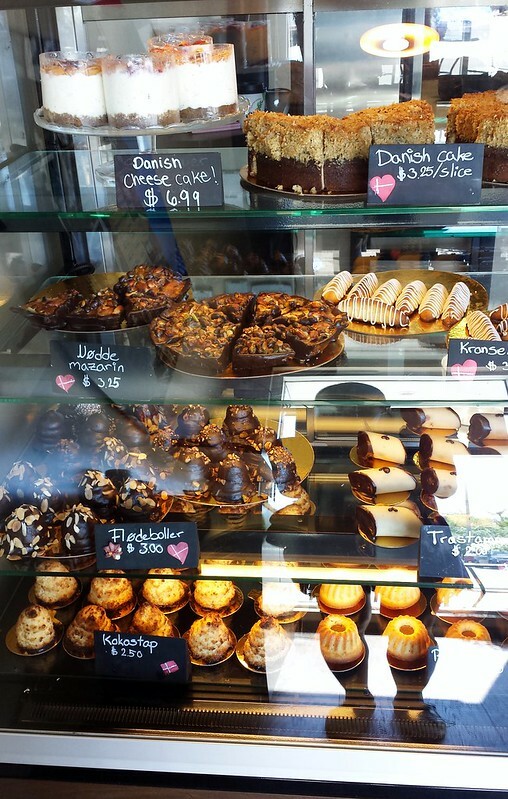 The bright and airy store offers an unobstructed view of the open kitchen but it was the irresistible aroma of baking that made my knees go weak. Yes, it smelled like butter in there. 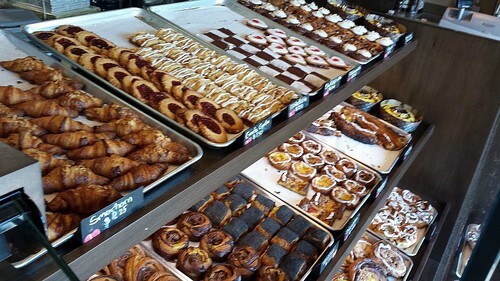 The assortment of danishes was dazzling. Poppy seeds, fruit, custard, apple, marzipan, chocolate, lemon icing, surely you can find one that makes you smile ear to ear. I especially enjoyed the poppy seed that straddles the line between sweet and savoury. 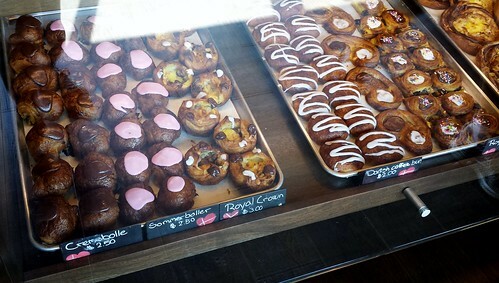 The coffee bun was something special with tender thin slices of apple and custard hiding inside. But danish is not the only thing worth the drive to Oakville. 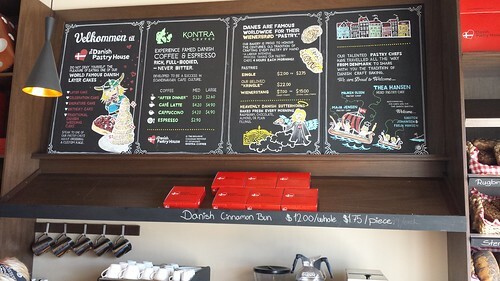 In fact, I would argue that everything else on the menu besides danish is the real reason The Danish Pastry House is worth visiting. The number one item not to be missed is flødeboller. 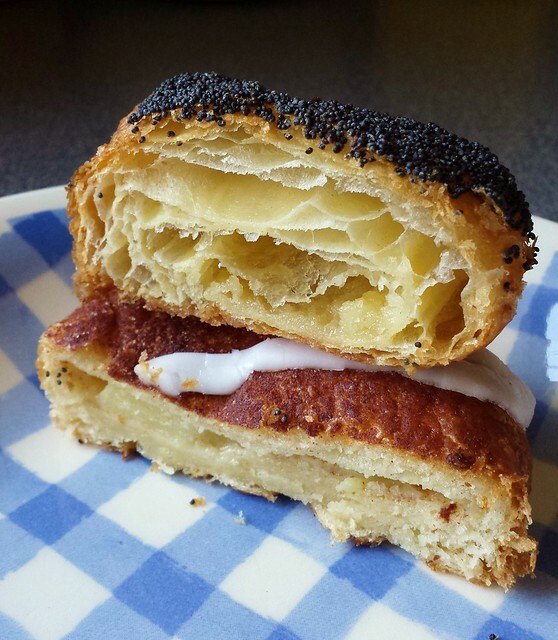 This Danish delicacy is finicky to make and I am impressed by this made-from-scratch version. 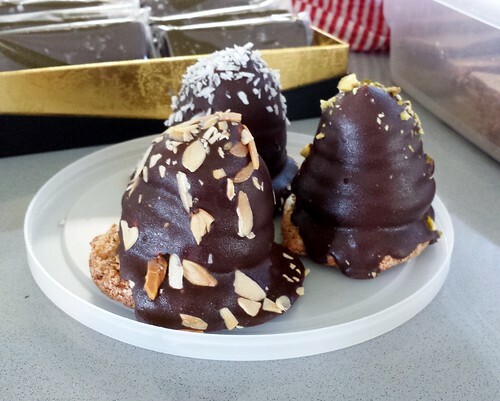 A crunchy almond cookie base is topped with a tall dome of marshmallow cream all enrobed in dark chocolate. You have a choice between almond, coconut, and pistachio topping. 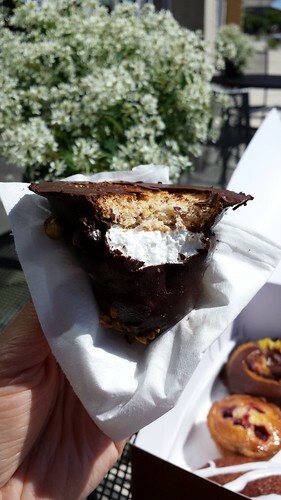 I fell in love with flødeboller in Denmark and having it available so close to home may prove to be dangerous. I also enjoyed their almond tarts. I bought one with raspberries and another one with dark chocolate and nuts. The moist frangipane filling made for great companion with a cup of coffee. I look forward to try their cakes and rye bread in future visits. Edit July 7, 2014: I did returned and tried so much more! Little Brother gave his seal of approval for the flødeboller. 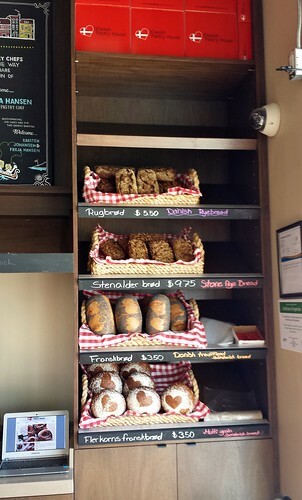 I loved the hearty dense rye bread, which will become my weekly loaf in addition to Seeduction. 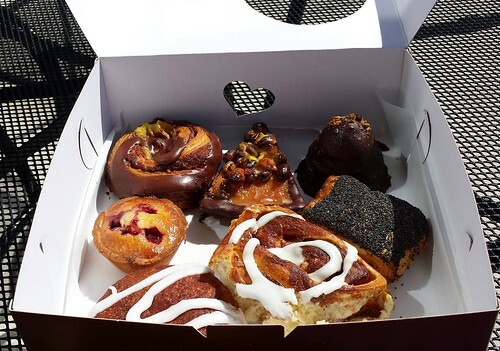 And the assortment of danishes and cakes were enjoyed by all my cooking friends. Seriously, I love everything here.